A data published by JNTO (Japan National Tourism Organization) mentions that in recent years Muslim Visitors number is increasing respectively, the need to prepare Muslim-friendly public places is one of the things Japanese government puts effort into, to show that Japan respects other beliefs and cultures. 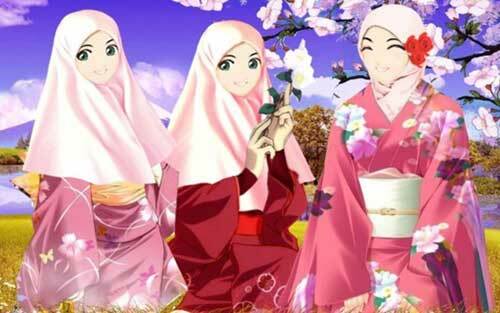 Here are a short guide for Muslim visitors, when they come to Japan for the first time. When you visit Japan for the first time, make sure to check what airport your airplane will arrive at. Some of Japanese airports are now labeled as Muslim-friendly. For example, in Narita, Haneda and Osaka airports, you can find prayer room for you to use when you have to say the daily prayer. In Narita Tokyo and Kansai Osaka airports, they even have Halal-certified restaurants. Yes, I know this is the first time for you to come to Japan, I know that you are very excited to try real Japanese foods. However, there are some Japanese dishes that do not fit Muslim dietary restrictions. Ramen is one of Japanese famous dishes that uses animal stock-based soup, ordinary Ramen uses pork based soup and is forbidden for Muslims. However, please do not worry because now there are some Halal Ramen Shops available in Japan. One of them is Naritaya Halal Ramen. Instead of Ramen, you can try other Japanese traditional dishes like Sushi and Sashimi which are seafood base and are fit for Muslim dietary needs. Unlike other countries with majority being muslim, where you can find a mosque on every corner of your city, in Japan, there are only limited prayer rooms available. When you need to pray, make sure you can finda quiet place, with not so many people, otherwise people will look at you having many questions on their faces, and you may get questioned by local security guard, and for your information, there are many muslim-friendly hotels available throughout Japan. Please find which one fits for you the most. And finally, it’s advisable to find the names of the mosques and their address beforehand, hopefully it’s close to where you will be staying in Japan. Japan, the Best Place to Be a Dog!